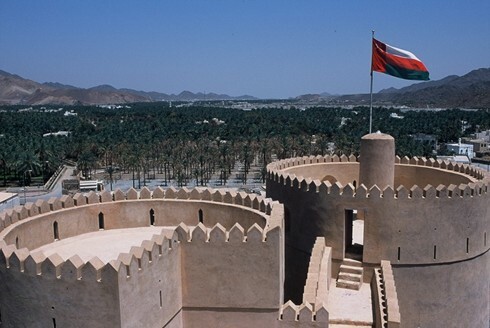 Situated about 175 km and 2 hours’ drive from Muscat, Nizwa was the capital of Oman in the 6th and 7th centuries. It is probably the best place to use as a base for exploring this diverse and interesting part of Oman. There are only a couple of hotels that we recommend in Nizwa and its surrounding area and we will select the most suitable one for your stay. In Nizwa itself the Falaj Daris Hotel, small and locally-owned, is conveniently situated just outside the centre of the town. The Al Diyar Hotel is also on the road into Nizwa and is a basic but very clean and welcoming property. Both hotels have swimming pools. The food at the Al Diyar in the Bahjat al Sham restaurant is quite good but basic, otherwise there are some good local DRY restaurants in Nizwa which we would recommend such as the Spicy Village (very reasonable and tasty Asian & Arabic food) and the Peppercorns Café (good fish and Indian food). We understand Al Mashareef, a Turkish restaurant, could be worth visiting but we have had no first-hand experience or feedback from our clients. You can easily stroll around the town, visiting the various souqs including the silver and gun souqs. The famous goat market operates auctions from around 07.00 to 09.00 on Friday mornings and is well worth seeing. Nizwa fort is also a good place to visit. It is one of the oldest and largest in Oman, completed in 1668 and strategically placed at the crossroads of several caravan routes. 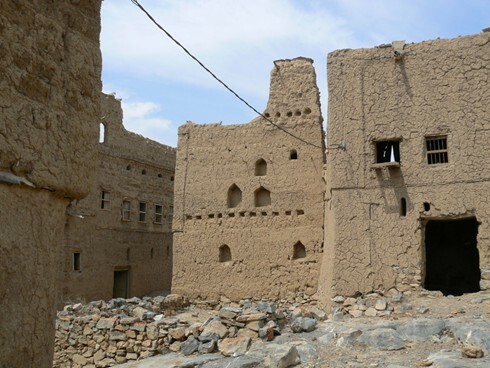 Further afield are Bahla, Misfah al Abreen and Hamra (ancient, very attractive villages) plus the ruined towns of Manah and Tanuf. 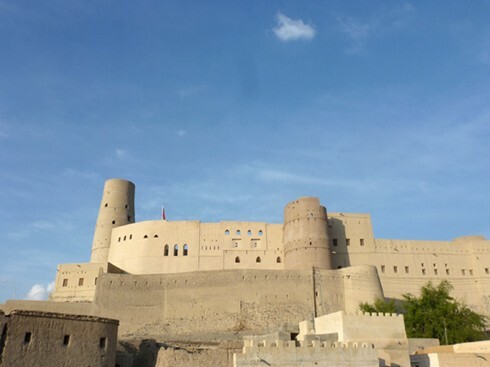 The fort at Jabrin has been tastefully and sympathetically restored and is close to the town of Bahla, whose fort is rated in UNESCO’s World Heritage Sites list as “a monument of global importance”. Bahla has also been a centre for pottery for many years and you can visit one of many factories and shops to buy pots much cheaper than those in other outlets. The Al Hoota cave system is one of the largest cave systems in the world and offers a wealth of stalagmite and stalactite formations as well as being home to unusual pink-coloured blind fish that navigate around the subterranean lakes with feelers! Unfortunately the opening times are fairly erratic and the caves are currently (June 2015) closed for maintenance.